360° Virtual Reality Experience for Samsung's new Audio 360 Speakers with Seven’s new music video. 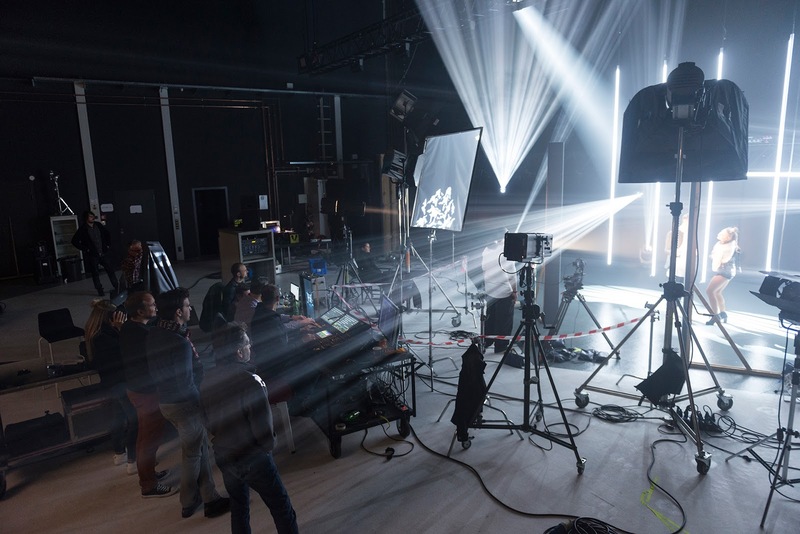 Samsung has teamed up with Swiss soul musician Seven to produce a 360° music video for the song "No". The video, which features Samsung's new Wireless Audio 360°speaker. The production will be one of the most complex 360° videos ever made and will provide an excellent example of the virtual interaction between customers and brand. Background: Florian Beck, Executive Creative Director at Serranetga: "Ever since YouTube and Facebook started supporting 360° videos on their platforms,virtual reality has been on the road to becoming a mass-market phenomenon. Virtual reality provides a unique user experience that enables completely new customer interactions. However, although the technical conditions have been met, the number of high-quality 360° videos remains modest. And advertisers have likewise failed to capitalise on the medium." 360° explained: We have developed the 360° VR music video especially for the new 360surround-sound speakers from Samsung. The Wireless Audio 360° speakers use Ring Radiator technology to project sound in every direction. In Addition, Wi-fi connectivity can be used to combine several rooms with one another. With the music video Samsung provides the user with a immersive 360° experience in three rooms and a perfect demonstration of the Audio 360 speaker. About the video: The song "No" from Samsung brand ambassador Seven is about a girl who won't take no for an answer. She always gets what she wants and Seven is struggling to resist her. The song has three parts, just like our 360° experience is divided into three rooms.Each room has its own visual character and reflects Seven's different emotional states during the song. Looking downwards from the user’s point-of-view,you can see a Samsung Speaker; the centre of the VR experience. The speaker fills the three rooms with music through animated sound waves. On the virtual ceiling, the lyrics of the song can be seen.While the story develops, the user follows Seven and the girl in a visually opulent, performance-filled music video. Implementation: When making the video, we aimed to guide the user through the experience–an exception in the field of 360-degree videos. Many experiences do not appear to make full use of the technology. For instance, the camera is placed in the corner of a room. This allows the user to follow the plot, but the rest is wasted space. In our video, the story and the scene only unfold through the 360° experience.We were also keen to produce a high-quality experience, that's why we didn't use GoPros and the like. Facts & figures: The music video was shot in Munich on 19th of October. More than 20 people took part in the shoot, including various virtual reality specialists. The post production took about three weeks. The video can be watched on both YouTube and Facebook from the 16th of November onwards. This means that everyone is able to dive into the virtual world with desktop or smartphone without the need for VR glasses or Google Cardboard. AdStasher: 360° Virtual Reality Experience for Samsung's new Audio 360 Speakers with Seven’s new music video.